Click here to join our Facebook group “AWHS Parent Resources Page”. ﻿This Facebook group is a great way to stay connected with other AWHS parents! Thank you for contacts the Parent Support Board! 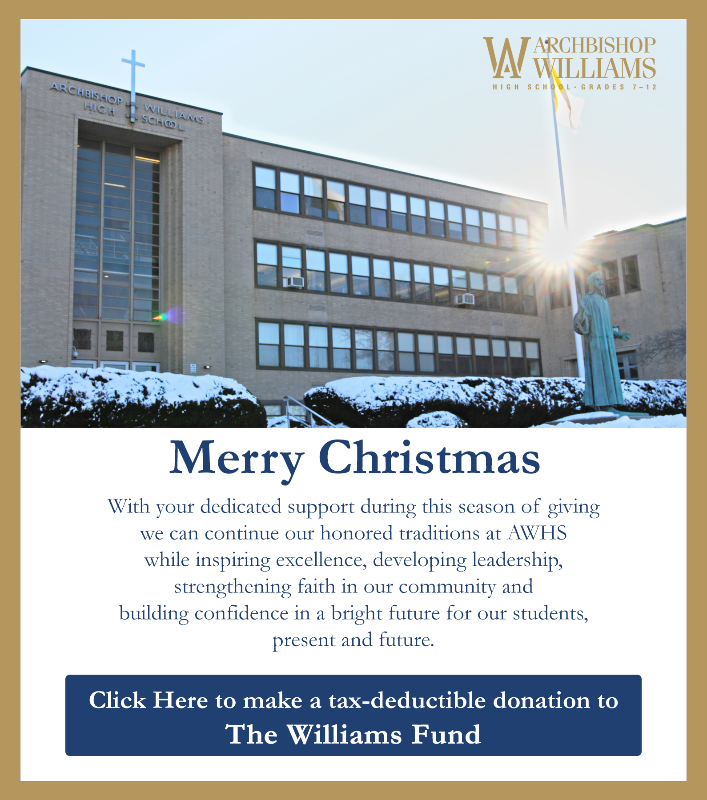 There is a Parent Support Board that exists to support the activities of the Archbishop Williams High sChool and to build community among our parents. Participation in the Parent Support Board is truly appreciated and an excellent vehicle to support our school. Meetings of the Parent Support Board occur monthly and are posted on the school calendar. While there is no longer a volunteer hour requirement, volunteers are always needed and makes possible many vital school activities and functions. Please note that all parent volunteers must undergo a CORI background check, per Archdiocesan policy. Please do not hesitate to reach out to these individuals for more information on Parent Support Board activities. They can be reached at awhspsb@awhs.org. There will be many opportunities to get involved during the school year! Click here to download the September Agenda. ~ We would like to celebrate our teachers and staff for all that they do for our kids. One Monday a month, there is a faculty/staff meeting and we would like to start a tradition of hosting it. If you are interested in helping and or donating, please see Louise or Marie after the meeting or contact us at AWHSPSB@awhs.org. Waters and set up if needed. They want ALL parents to enjoy the night. Will keep everyone posted. Usually just water.